Stohlman VW – The sales volume leader in the Mid-Atlantic! Looking for quick pricing information? Submit the form below for a NO SURPRISE QUOTE on the Volkswagen of your choice. No worries, we’ll protect your privacy. Plus, we will respond back (usually in less than one business hour) via email – so be sure to check your inbox soon! We constantly shop our competition to ensure you get the BEST DEAL. Need immediate assistance? 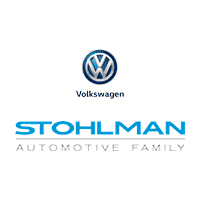 Call STOHLMAN VW SALES direct at: %PHONE%.